The beautiful biblical heroine Judith saved the Israelites from conquest by Assyria. 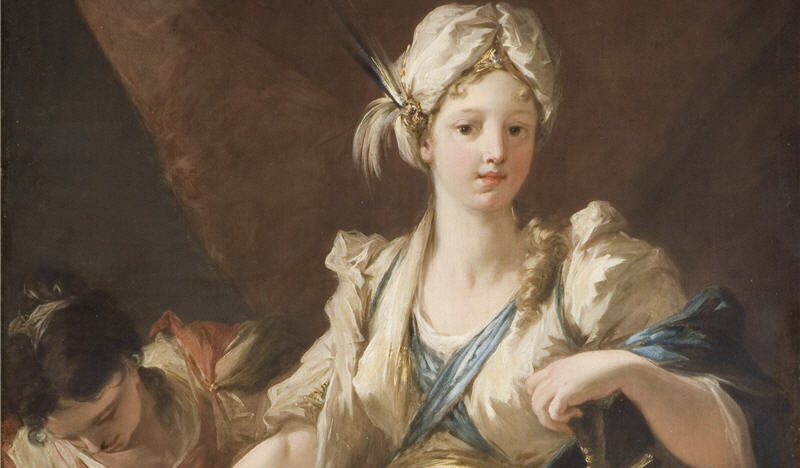 She stole into the tent of the Assyrian general Holofernes during the night and decapitated him. 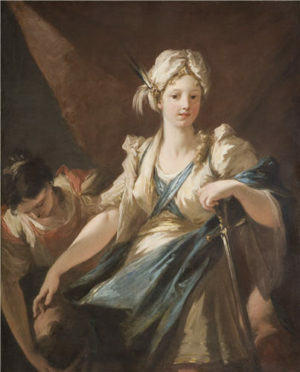 Here, she passes the head to her maid. In contrast to the horrors depicted by 17th-century artists, Pellegrini hides the body in the shadows, and, instead, he concentrates on Judith who looks directly at us, courting our acclaim. The lively brushwork and vibrant colour combinations also create a very different mood from earlier representations. The Venetian artist Pellegrini worked in England between 1708-13 where this picture was probably painted.